Several weeks ago I walked in the woods near my house. 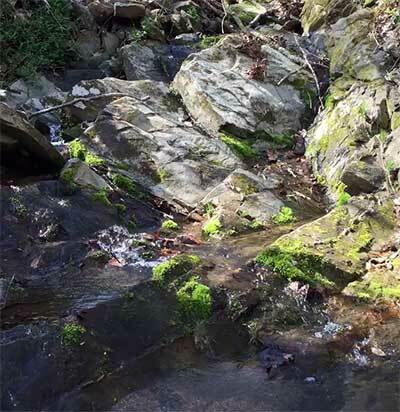 There is a stream where I listen to water washing over stones. It was a spring day and the forest was still waking up from winter. It’s inspiring to see woodlands like that—everything rooted in place, but starting over again, stronger by what came before. I took this video that day. I cofounded GYMR Public Relations Firm when I was 32 years old. I didn’t know a lot, but I knew what I wanted to do and how I wanted to do it—with smart, hardworking people who like to be challenged and are passionate about achieving results. I didn’t know that it would be my professional home for the next 18 years; it never crossed my mind. In the past year, nine of my clients undertook strategic planning exercises and invited me to participate. It’s exciting to see people reassess goals and refine approaches in ways both subtle and bold. I also turned 50. As anyone hitting that milestone knows, it’s simply impossible to not take stock. I still love what I do and who I do it for, but want to explore new adventures. My business partner and I realized that the company we formed together 18 years ago looks very different from the actual teams each of us leads independently. We part as friends, wishing each other well and excited about what the future holds. 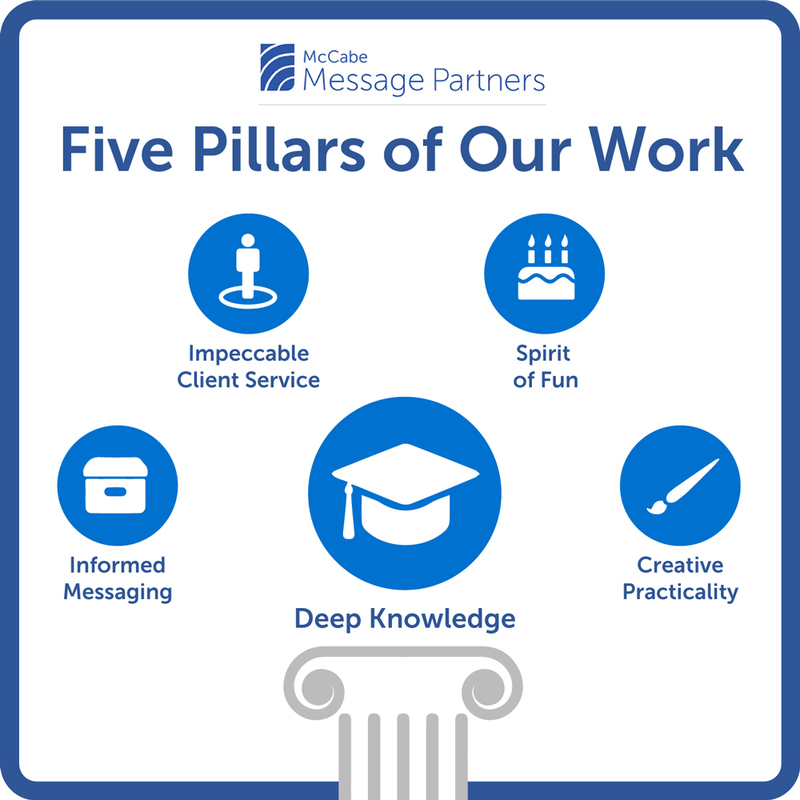 The emphasis on “partners” in the name of my new firm—McCabe Message Partners—is very intentional. Although not a formal partnership, my team members are true partners in this new venture. On average, each has been with me nearly six years, with the two senior-most members having been part of the team for 16 and 13 years—unheard of in agency life. We seek deep partnership with our clients. One recently commented on how readily our team engages in the work and quickly propels it forward. We’re proud of that. Our clients’ goals immediately become our own. Just like 18 years ago, I am excited and brimming with ideas. All of us are. We’re having great discussions about what our agency stands for, and how we embody the five pillars of our company in ways big and small. We know you’re going to love Message Partners. We’re the same service-oriented quick thinkers, seasoned counselors, and fearless media pitchers we’ve always been—we still hit the ground running—but all of us have a new bounce in our steps and a twinkle in our eyes. We feel new, refreshed, bursting forth—like woods in springtime.